We are officially in Christmas party season! Which is great if you’ve already organised your office Christmas party – but not quite as joyful a prospect if nothing’s been planned, and suddenly you’ve been lumped with the task of making it happen. Sound familiar? For you, the team at Venuemob have whipped up a last minute Christmas party planning checklist to get you through December unscathed. This first step is arguably the most important one. Know exactly what you need from your Christmas party and your venue, because it will impact the entire process of planning your event. Decide from the get-go whether those items on your list fall under ‘must have’ or ‘that’d be great’. Your very-much-confirmed budget could be the non-negotiable. It could be the date of the event. It could be accessibility requirements, or menu items (vegetarian, Kosher or Halal, for instance). Identifying your non-negotiables and must-haves early will make the rest of the process of planning your last minute office Christmas party SO much easier. The team at Venuemob recommend that you work out your ‘non negotiables’ for your event. 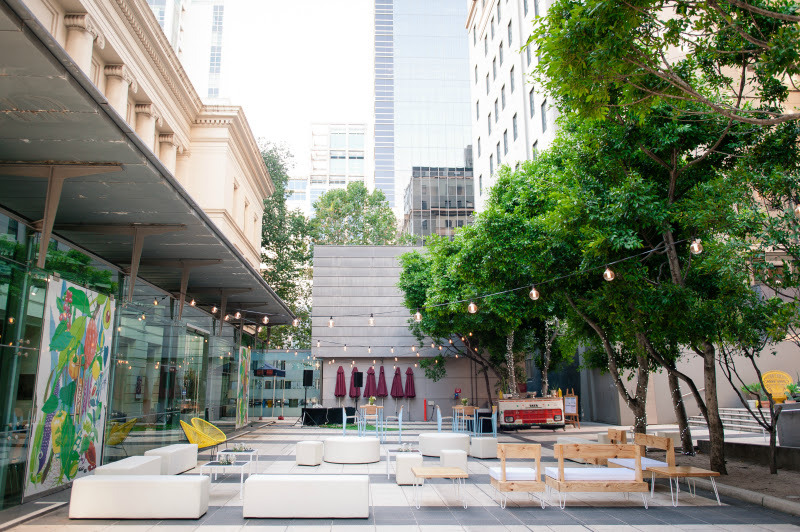 For example – an outdoor space for guests to relax and mingle might be a ‘non negotiable’ when selecting your perfect venue – like this gorgeous private courtyard at the Immigration Museum in Melbourne’s CBD. You’re running out of time, and key dates are getting booked out. You could rack your brains for appropriate venues, contacting them one by one. Or you could book the venue everyone’s sick of – again. Or, you could access best options in one spot. Complete with imagery, availability information (vital), function package and menu information, and a rundown of minimum spend requirements for all spaces. Venuemob – both as a website and an in-house team to assist larger corporate groups – is adept in finding the perfect venue for teams and groups organising last minute Christmas parties. Our tip? Get connected with available venues that suit your budget, with just a click. Venuemob makes finding your ideal Christmas party venue stress free. Venue – Melbourne Gallery at Melbourne Museum, Carlton. 3. Is the venue convenient? This might seem like a no-brainer, but venue location is worthy of its own item in the last minute Christmas party planning checklist. Is the venue conveniently located for your colleagues or guests? Where is it in relation to your office, and public transport options? How far will they have to stumble post-party? The distance guests have to travel to reach the party often influences how many people actually attend, and how much of a good time they have. First up? That’s easy. Ask the venue about your non-negotiables. Next, we recommend the following questions – depending on your requirements, of course. What are our catering options? Is there a bar tab option? How much time will you have for set-up and packdown? Realistically, will guests be comfortable in the space, or will they be squished? What’s included in the cost of the venue hire or min spend? Until what time will we have access to the venue / space? If you need AV – will you need to pay more? If you need an exclusive space – will the public be able to see inside / have access to your space? Important checklist item ahead! How many times have you been to an event and thought afterwards ‘gosh, it was fun – but I wish there had been more food’? Avoid those pitfalls by ensuring you budget and plan appropriately, even when you’re in the throes of last minute Christmas party planning. Will your guests need lunch? Lunch AND dinner? If you’re planning on serving canapés at your event, how many pieces will your guests need to make sure their tummies are lined? Consider when your event starts, and how long you expect festivities to run. Same goes for drinks! Beverage packages provide more bang for your buck, and can be limited to a particular number of hours for service – this is a great option for when you have a very specific start and end time, and when you have a large number of guests. More casual? Chuck some money on a bar tab, and let your colleagues buy their own drinks when it runs out. Easy. 6. Make sure guests are going to have fun! Be honest. Are your colleagues going to need a helping hand to get mingling and chatting amongst different departments? If the answer’s yes, we recommend including an activity in the day’s festivities: go karting, an escape room, or other hands-on, fun experiences. You could even choose a venue that comprises both an activity, AND the food and booze everyone’s looking forward to. For other teams, the only the thing they’ll need to have a great time is a great soundtrack. If you’re planning on bringing your own music or playlist, double check whether your venue is able to provide an aux cord and speakers, and that you can in fact play your own tunes. Similarly – if you’re organising a band or DJ, chat to your chosen venue about your plan well in advance so you’re not caught facepalming in frustration on the night. Want your event to be talked about for years to come? 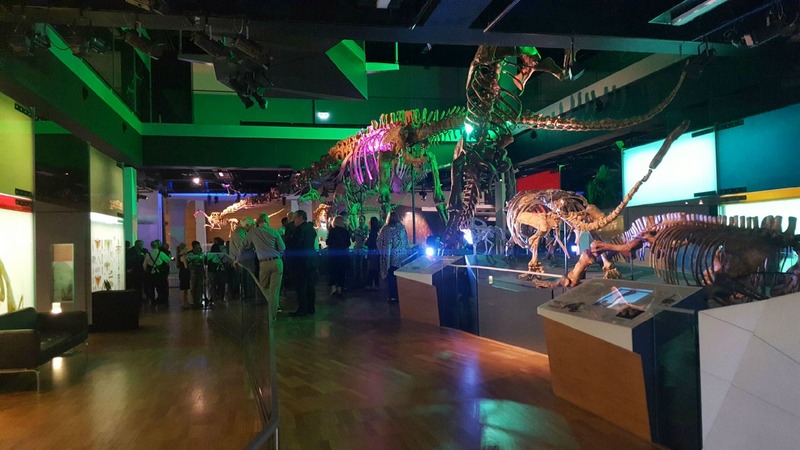 Some venues can provide activities to incorporate into your event such as Melbourne Museum that offers a range of bespoke experiences that will engage and delight your party guests. This will depend entirely on the vibe and average age of your guestlist, but you may want to consider organising an after-party venue. If that’s the case, here’s the Venuemob hot tip: avoid playing it by ear on the night. Nothing takes the wind out of a group’s party sails quite like standing on a street corner trying to decide which direction to take, or waiting in line at a club! Whether it’s a reserved VIP booth or an entire semi-exclusive section of a bar, make sure it’s a done deal before the date of your office Christmas party. It might even be worth sending out an email to your team during the party planning process to gauge how many guests are keen, and which venues they’d prefer for kick-ons. So. What are you waiting for? Go forth and lock in your last minute Christmas party, and deliver an event that runs like a planned-months-in-advance Christmas party. With Venuemob on your side, you’ll be sinking a bev (or five) and enjoying a tasty morsel (or ten) in the perfect venue in no time. For all your festive season event hire needs – contact the friendly team at Complete Function Hire today. Conference attendees may often attend several business events across the year. To ensure that your upcoming conference stands out and leaves a lasting impression, we got some expert tips from the professionals! 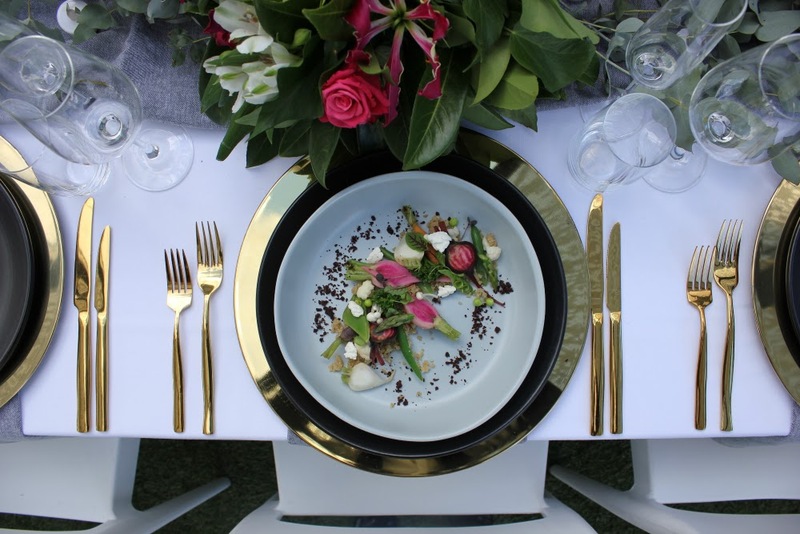 Dee Nicholas and the team at CIS Event Management have been creating exceptional event experiences for over 10 years all over Australia. We were thrilled to catch up with Dee to get her top tips on how to increase delegate engagement and how to provide your guests with a truly memorable experience. What do your attendees want? Just ask. Don’t take a stab at it – go straight to the source to find out what is going to excite and delight your attendees. Engagement, education and networking are all important but a pre-event survey is a great way to identify what your staff want to see in terms of relevant content. Post event surveys from previous events are also a great way to identify any improvement areas (and these can be administered fairly easily through an electronic system such as Survey Monkey). It’s all about creating memorable experiences for your delegates. Add a personal touch to your conference set up with comfortable lounge areas. Couches and coffee tables help create a relaxed environment for your delegates to unwind and refresh pre and post conference and on breaks. Free Wi-Fi, charging stations and a range of industry relevant magazines are some great added touches that your attendees will appreciate. 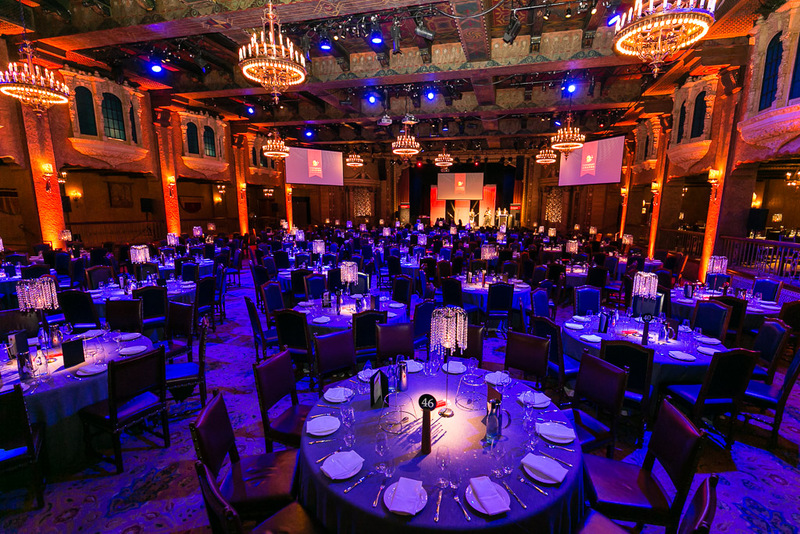 Creating an amazing ‘offsite’ event experience at a local landmark venue can be a really exciting addition to a conference. 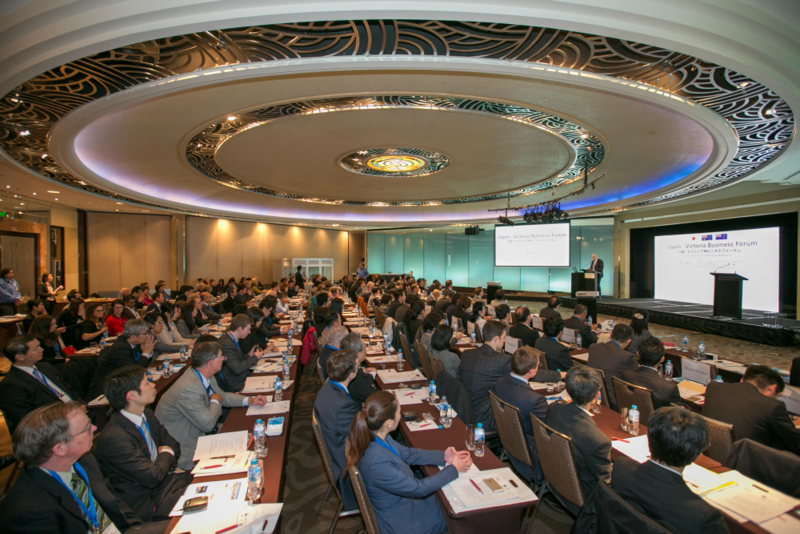 Where delegates have travelled overseas or interstate, it is a nice touch to include an ‘offsite’ event at a different location that showcases local culture and flavours. Boost team morale by including interactive team building activities throughout your conference. There are so many unique options these days and by surveying your delegates pre and post event, you will be able to identify what style of activities best suits the group demographics. Conference programs can be pretty intense for delegates (‘information overload!’) so it’s always a great idea to add an outdoor component. Whether you choose to organise a team challenge in a local park or if you are able to host your working lunch outside – your delegates will be reinvigorated by the fresh air. For something different, why not schedule some ‘walking meetings’ as part of your program (this is great for short sessions with small groups or one on one meetings). Mix up your program format with different styles of facilitated discussions. Inspire your delegates by including collaborative feature art piece such as a mural or a mood board that delegates can contribute to throughout the conference. Get the creative juices flowing by leaving art supplies, textas, fabrics etc. for your guests to make their mark on. Food stations and buffets are a fantastic, social way of dining that will increase interaction. Add a little fun to your catering with food station themes or elaborate styling features. Don’t forget when selecting your menu to keep healthy options in to avoid the mid afternoon slump. Break up back to back presentations and encourage conversation with some different program formats including panel discussions, live Q&A sessions, debates or ‘fish bowl’ group discussions. If you want your next business event to make an impact, contact the team of business event professionals at CIS Event Management today. For all your conference and business event furniture and equipment hire needs, contact the friendly team at Complete Function Hire. 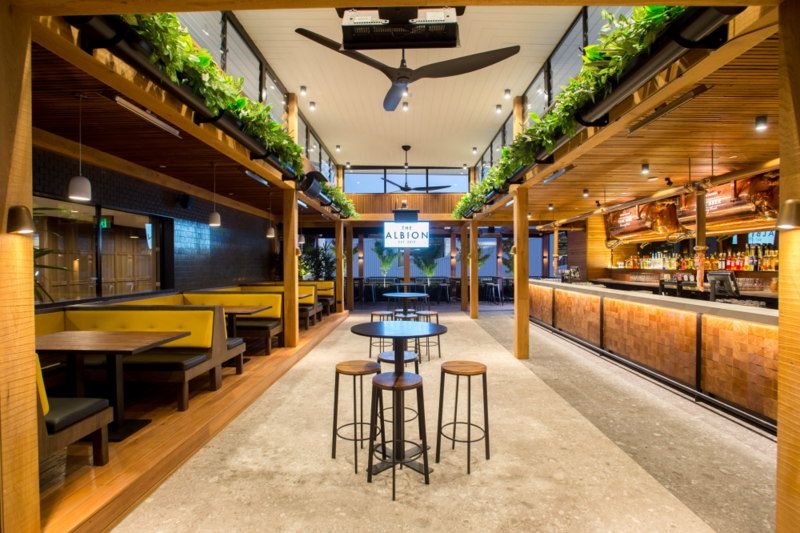 Conveniently located in South Melbourne and sprawling across 3 stunning levels, The Albion is Melbourne’s newest event space. 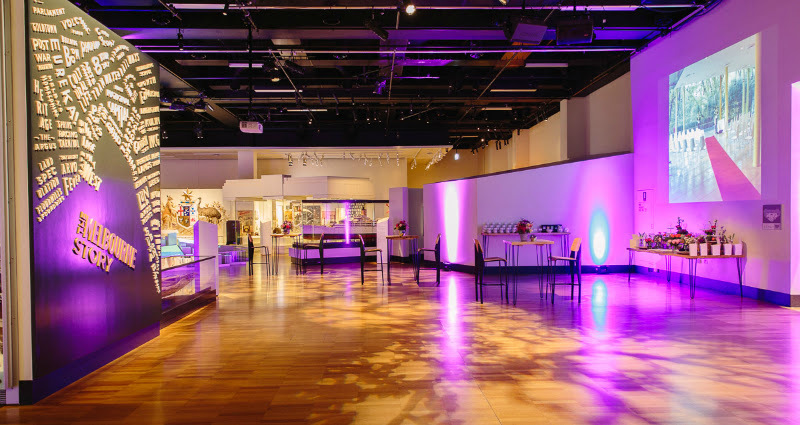 Perfectly suited to private and corporate events alike, The Albion’s various, luxe function spaces can accommodate intimate soirees or large, lavish cocktail parties for up to 600 guests across the entire venue. 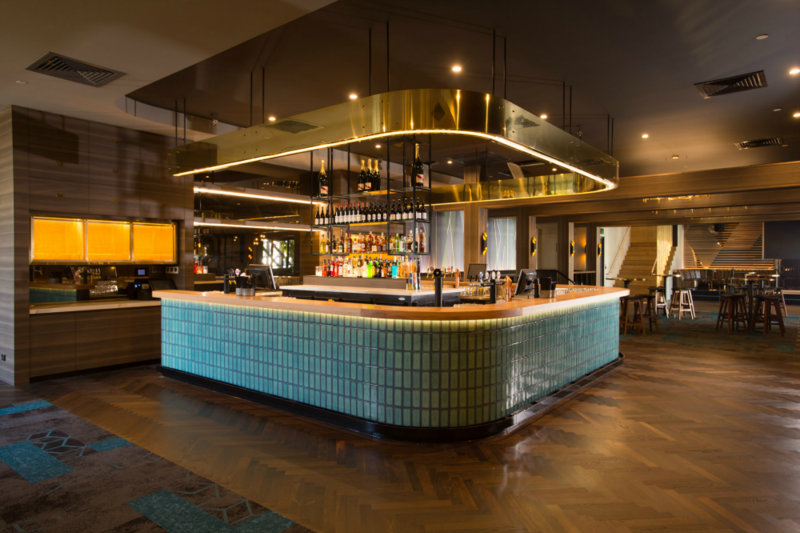 Whilst The Albion is known for it’s cocktail parties, the venue has been designed to adapt to any occasion from product launches, engagement dinners and large scale corporate celebrations of all kinds. 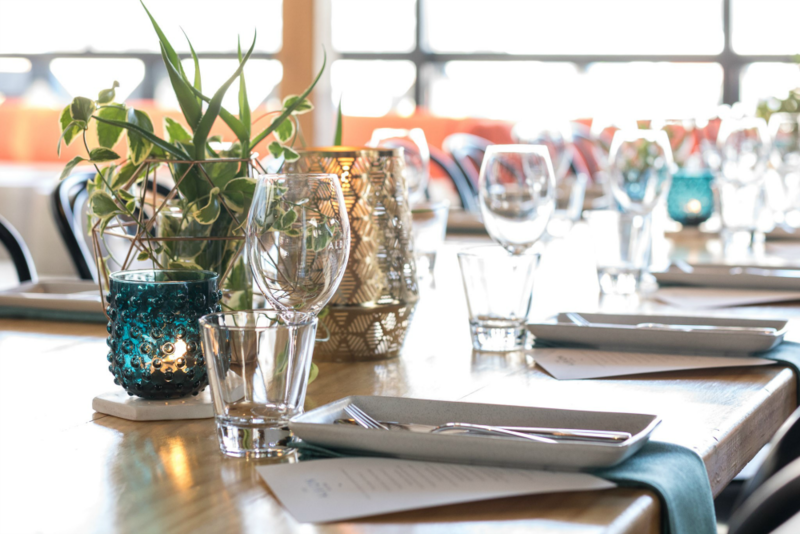 On this month’s ‘Venues We Love’, we were thrilled to catch up with the team of event professionals at The Albion to get the low down on their magnificent venue and to get their top tips for event planners this winter. 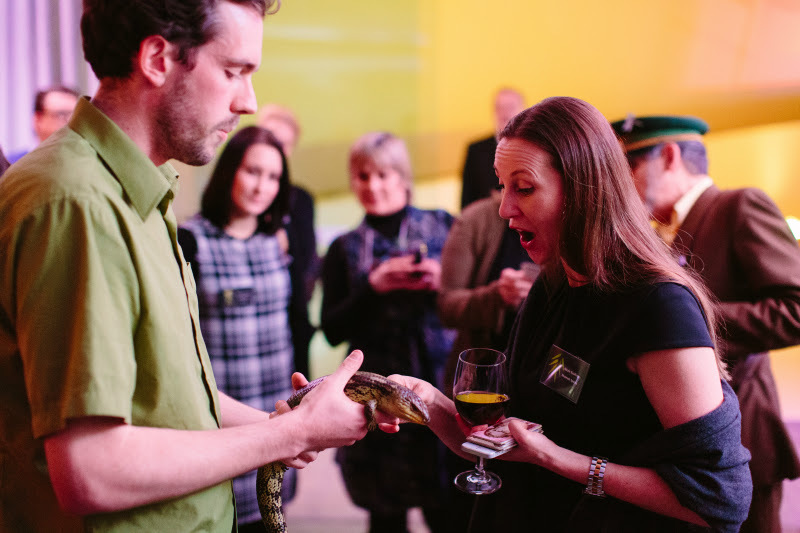 What makes events at The Albion so memorable? We pride ourselves on our service and always ensure every guest leaves our venue happy and well fed. Food and beverage is at the heart and soul of what we do and we always deliver this to the highest quality. Your guests can except to leave an event at The Albion on a first name basis with our amazing front of house team who strive to ensure every guest has been incredibly well looked after. We have all the provisions to keep guests comfortable no matter the weather. The Lounge boasts leather booths creating a cosy and intimate setting. 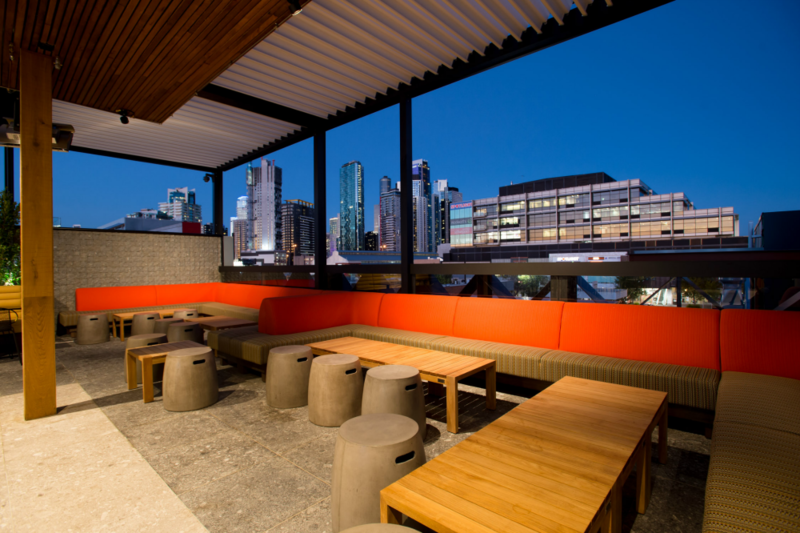 The Rooftop is completely enclosed with heating and louvered roof to accommodate Melbourne’s notoriously fickle weather. Our function menu features hearty and wholesome, substantial items like our Moroccan Chickpea Tagine with Pomegranate Cous Cous which pairs perfectly with a big bold Two Hands Gnarly Dudes Shiraz from the Barossa Valley, a perfect winter warmer. What are your team’s top tips for event planners this winter and how can event planners create an event at The Albion that everyone will talk about for years to come? Being Melbourne’s newest lifestyle venue, we are sure guests will be impressed by our beautiful venue which will provide enough talking points on its own… however you will find everything you need for a memorable event at The Albion, including in house AV, beautiful décor and design, carefully curate food and beverage menus … and of course access to Melbourne’s best event suppliers. 1. A cloak room is essential and often overlooked. 2. 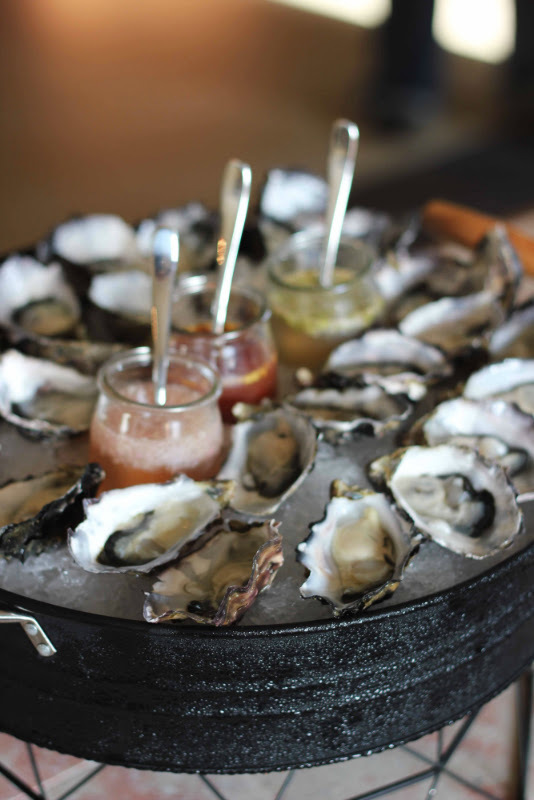 An adaptable menu that features seasonal local produce. 3. Climate controlled spaces and a dry, enclosed, heated space for the smokers to congregate. 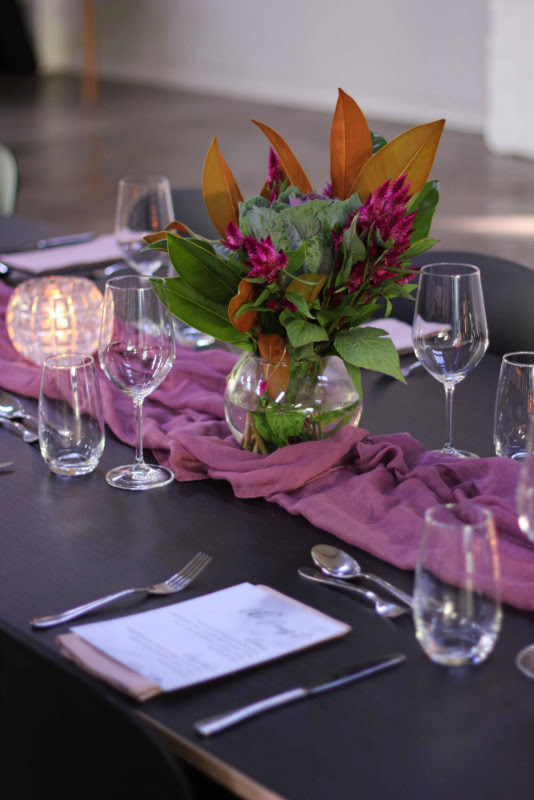 If you are looking for a stunning Melbourne event space that ticks all the boxes, contact the friendly team at The Albion. For all your event hire needs, speak to the team of event professionals at Complete Function Hire today. 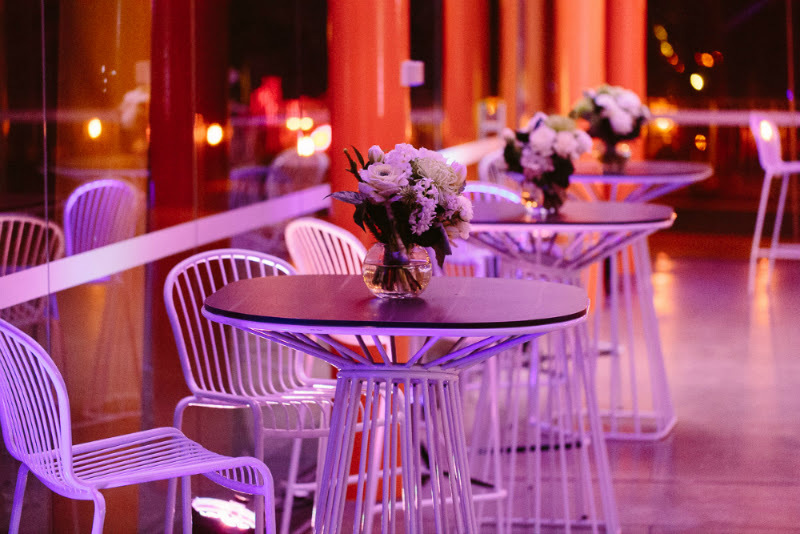 With event season in full swing, the team at Complete Function Hire are busy delivering furniture, equipment, AV and décor to Melbourne’s best venues. We see all kinds of Christmas events – from casual family fun days in the park to glamourous VIP client events (and everything in between). So, what makes a corporate Christmas party really memorable? On this week’s blog we were honoured to chat to Dee Nicholas, Director of CIS Event Management to get her helpful tips for event planners. Dee has been producing amazing events in Melbourne, Australia and all over the world for over 25 years and we enjoyed getting her expert advice on how to make sure your Christmas event is talked about for years to come. The easy option is to do what you did the year prior however variety is the spice of life! 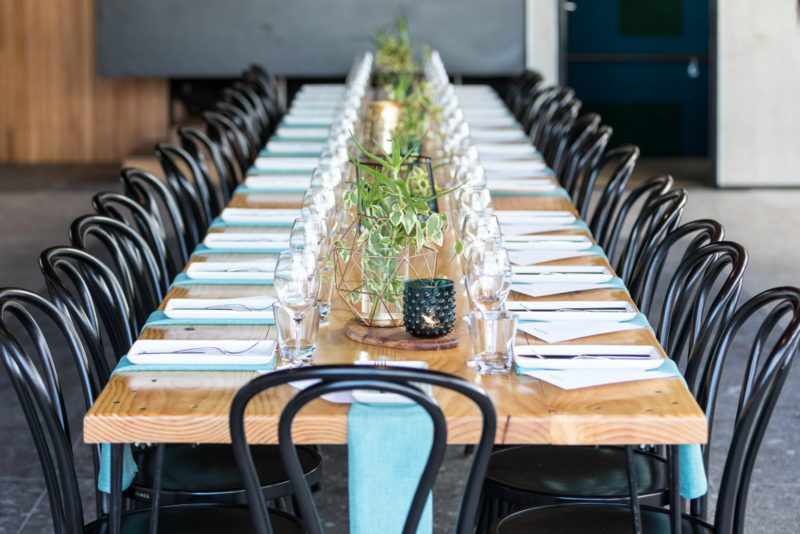 There are so many incredible event spaces in Melbourne – the possibilities are endless. If you truly believe you have ‘been everywhere’, why not let your imagination run wild in a warehouse style space or one of Melbourne’s incredible gardens? It is good to mix up the format up too – if you have had a formal seated event in the past, why not mix it up with a cocktail party style event or a picnic?! Add the element of surprise by changing up your event format this year. Get creative with your invite. The Christmas Party is seen as recognition to staff (or clients) for their hard work and many look forward to the event each year. 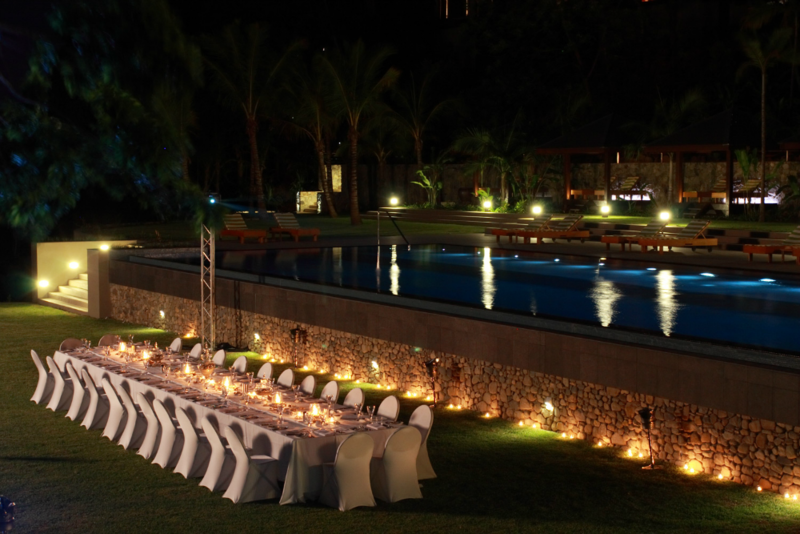 To help with getting maximum attendance, create an exciting invite with a teaser of what they may expect on the night. 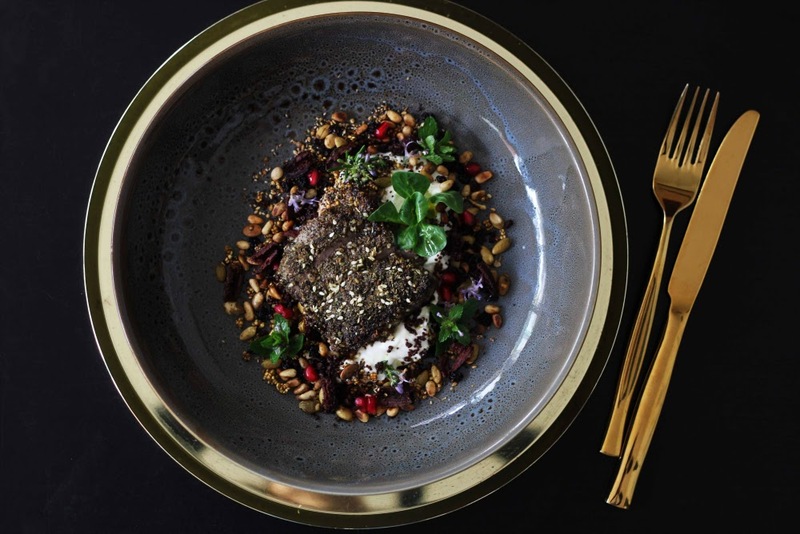 Whether it be incorporated into your entertainment, your styling, your menu choice or your gifting – it is always important to think about incorporating points of difference e.g. signature cocktail designed especially for your business, a special theme, interactive activity or high tech digital element. A special theme can give your end of year event the WOW factor. Food is always an important factor when creating an amazing event. Ensuring there is ample food, as well as variety and consideration of guest’s special dietary needs will always be received well. Food stations, Charcuterie and Cheese tables and dessert buffets are all very popular at the moment. 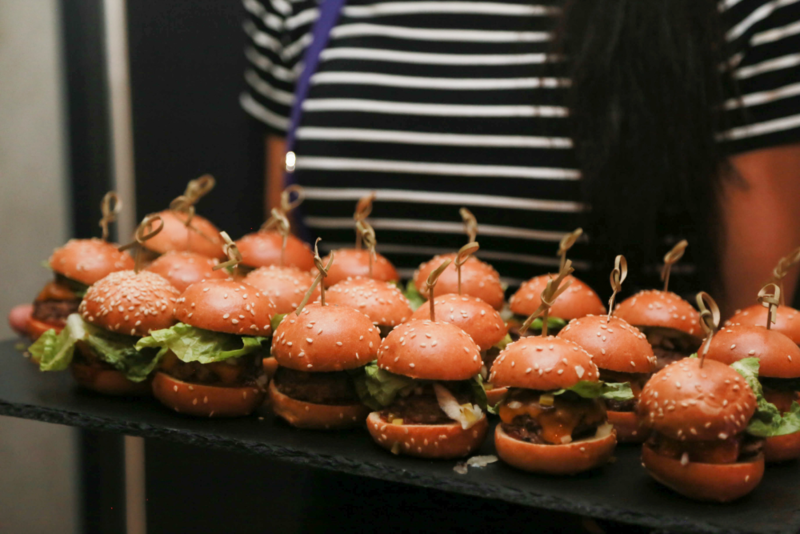 Incorporating food stations will ensure that guests can continue to ‘graze’ throughout the event and it can become a stylised feature and talking point at your event, creating a lasting (and delicious) impression for years to come. For end of year staff parties and client entertaining events alike, it is always important to place emphasis on recognition. A well delivered speech by Management including company highlights for the year will help end the year on a positive note. A personal touch is always well received and appreciated. Do your guests know each other? 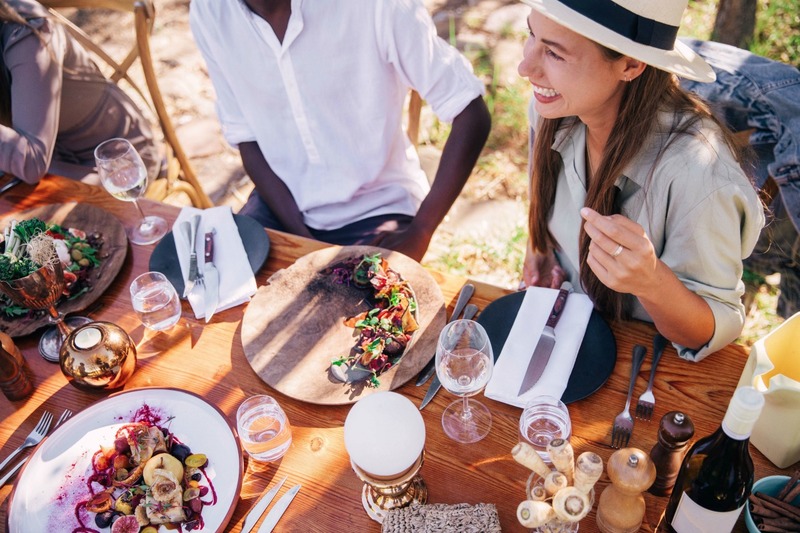 For larger businesses with multiple departments or for client entertaining events, it is possible that guests may not know each other that well so it’s important to break the ice. Interactive activities such as Gif booths, photobooths and roving entertainment are great starters. If you want your event to make an impact, speak to the team of business event professionals at CIS Event Management today. For all your event hire needs this Christmas and beyond, click here to contact the team at Complete Function Hire.